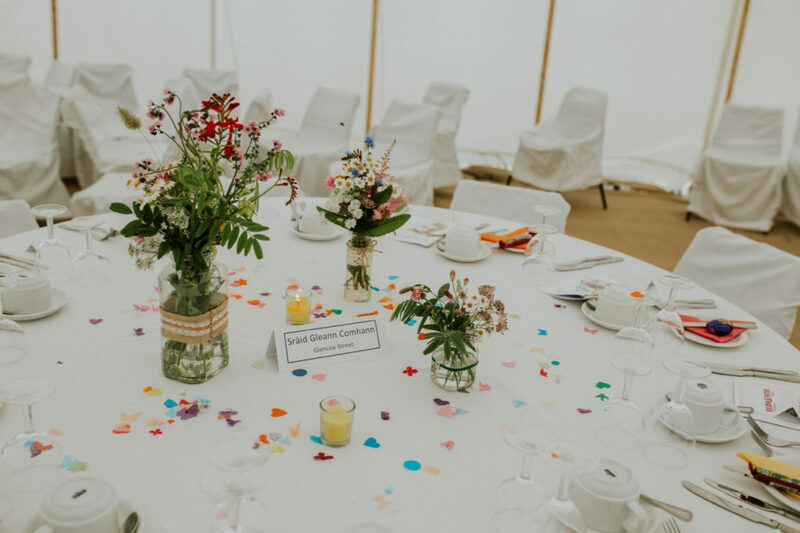 Summer seems so far away so I am going for a cheery summer topic today, highlighting one of my favourite weddings of 2017. Eilidh and Peter opted for a bouquets and buckets service for their wedding in the Outer Hebrides. 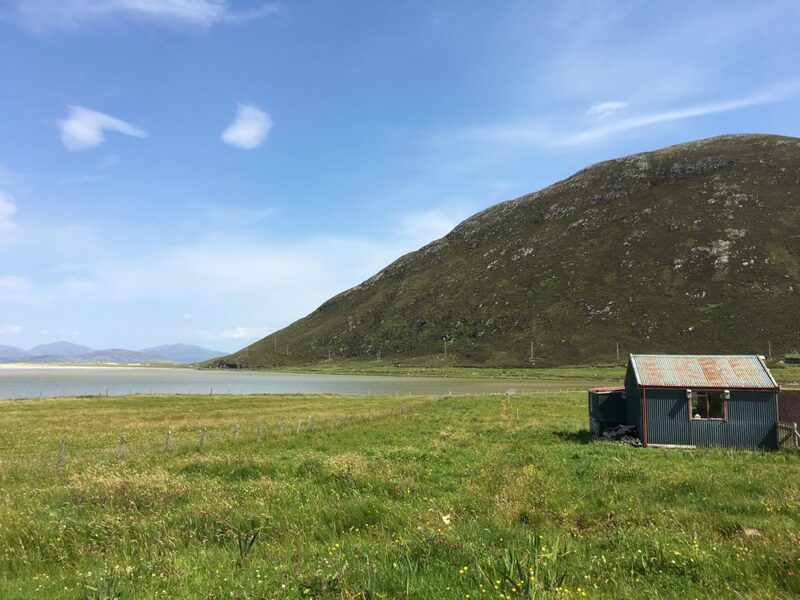 To do this involved a fair few logistics with ferries to the islands, transport time and distance. But it all came together as you can see below. 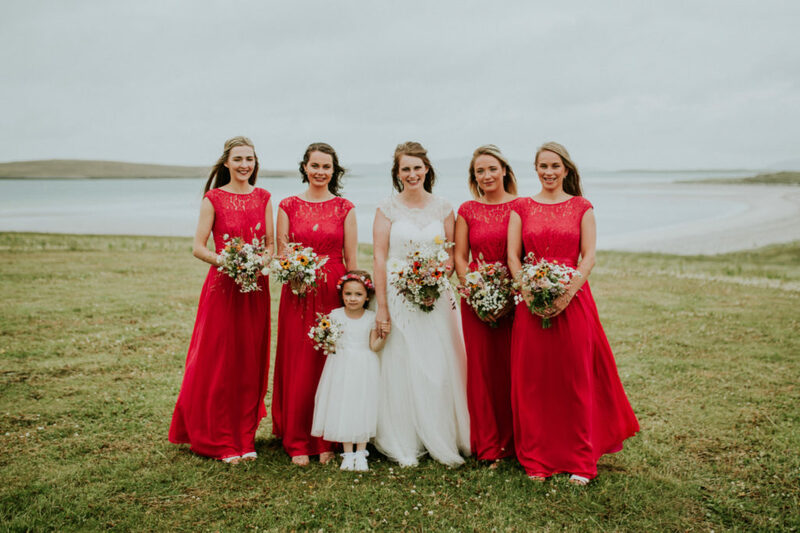 The wildflower shoreline of the islands is known as the machair and the couple wanted to have that reflected in the flowers so a selection of bright meadow flowers was used. 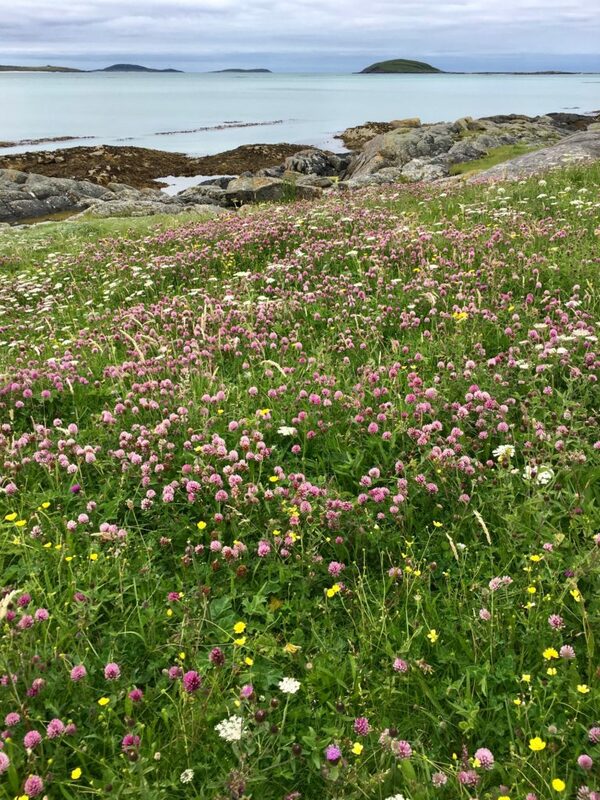 The following photos are from Eriskay and Harris as an example of the machair which differs in each island and across the season of course. 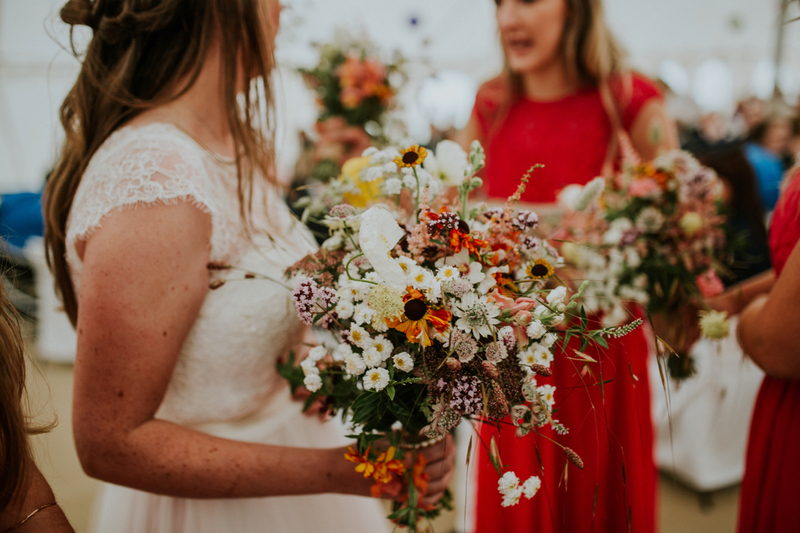 I highlighted this wedding as their choice of flowers reflected beautifully why I choose to grow flowers in Scotland: few flower miles, natural product, in keeping with the surroundings, and in line with the seasons. 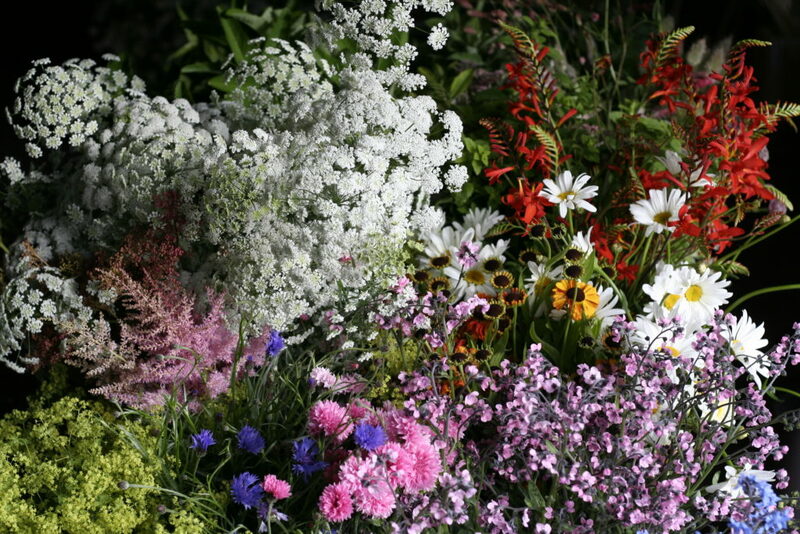 And of course I love the idea of a young bride and groom going home to get married. 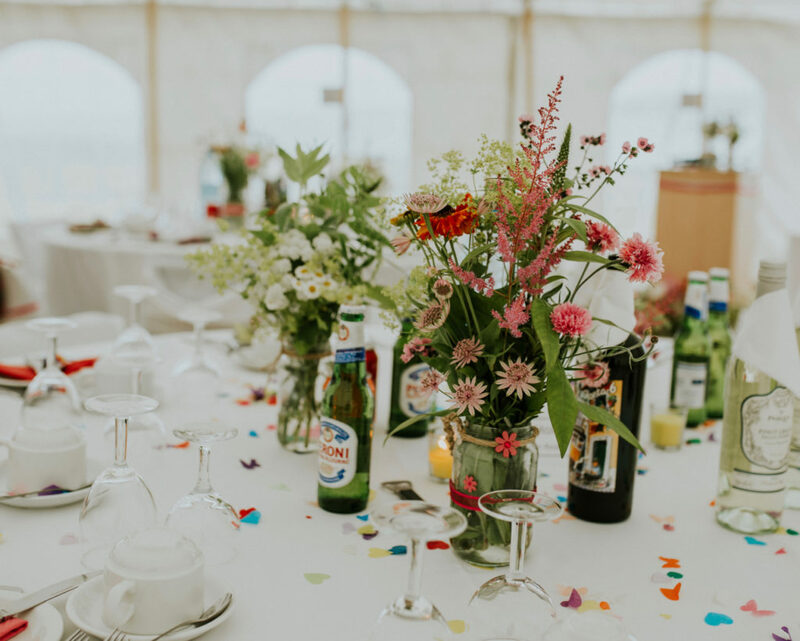 The DIY buckets went up with family a few days before so they could arrange them and the bouquets and buttonholes I had created followed the day before. 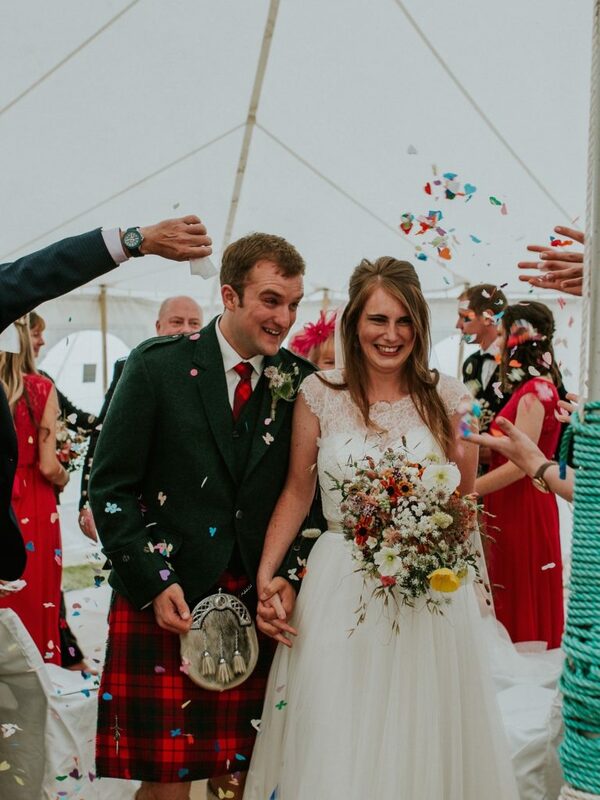 I am delighted that Eilidh and Peter have let me share their photos here. I wish them Happy Ever After.